You have the option to add the DBX files individually or in a folder and convert them in batch. A single file will be created for each file with the same name with .dbx extension. Convert the Outlook Express DBX files into Outlook PST, EML and MSg file format and use them further vaarious applications like Windows Live Mail , Thunderbird etc. DBX file can be converted to MBOX format also so that it can be used with different free email applications retaining the folder structure and metadata. The tool has an in built viewer that can show a preview of all the attachments included in the emails. But you cannot save the attachments. Once the DBX file is exported , you can split the PST fiel into multiple files divided by the size. Why do you Need to convert DBX Files to PST? Has it been long to use Outlook Express email application? Are you storing all your email data in DBX files of OE email application? 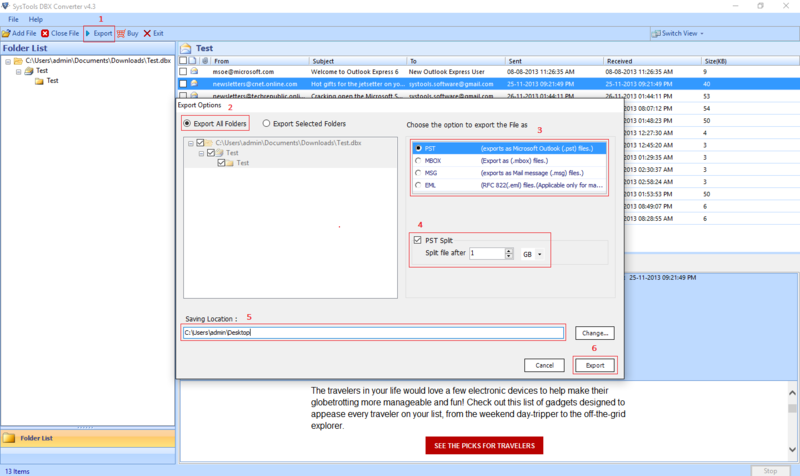 Do you want to convert DBX files to Outlook urgently? 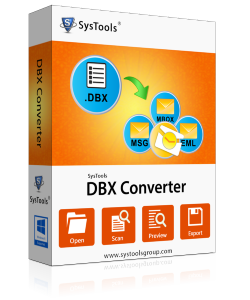 Do you want some reliable third-party converter DBX to PST files files to transfer DBX files to Outlook? Converter DBX to PST: DBX convert to PST can be done with the help of some efficient third-party tool. 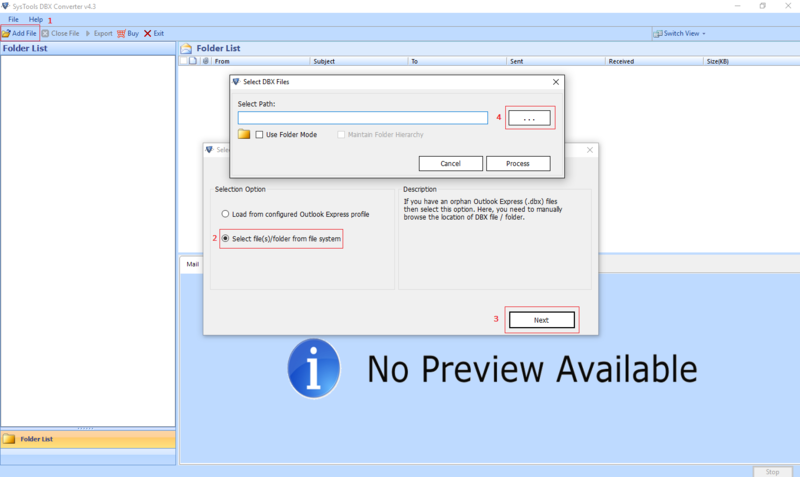 There are many outside DBX to Outlook converter available in the online market to convert DBX files to Outlook. Search for an apt tool for this purpose. 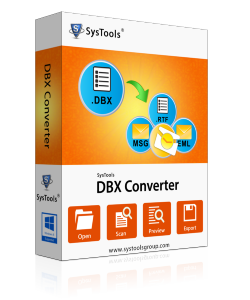 You can use DBX Converter software, which is a suitable solution to convert DBX to PST outlook in little time. 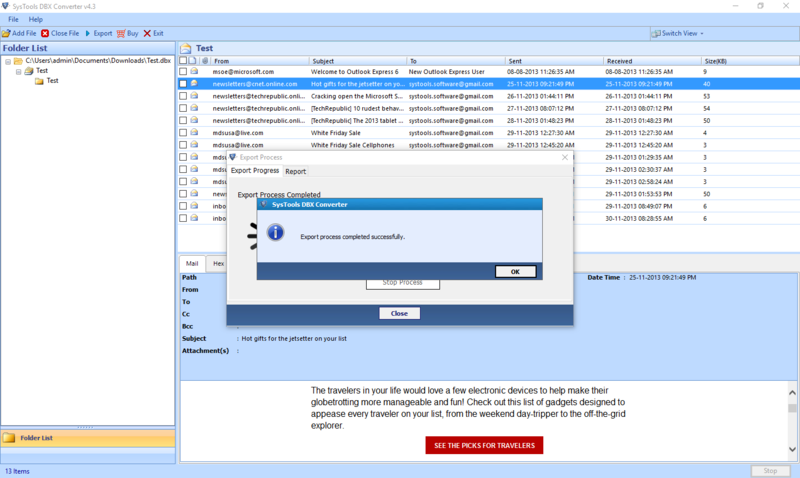 This tool employs high and advanced technology using which it is extremely simple to convert DBX files in Outlook. Can i convert multiple DBX files at once? Yes , you can add any number of files you want to convert. Just create a folder and copy all the desired files in that folder. Browase that folder on the software. Which version of Outlook Express does your software have the support for ? The software support all the versions of Outlook Express including 4.1 , 5.0 , 5.01 , 5.5 and the most recent 6.0 as well..
No, you cannot install DBX to PST Converter on a Mac machine as it is a Windows Based Tool. If you want , the output PST file can be exported to the Mac Outlook later. Do i need to have Outlook installed on my system in order to convert a DBX file to PST file ? I am very much impressed by the performance of the DBX to PST converter. I was able to convert about 60 DBX files to PST files in less time and that let me moved all data from DBX file completely. DBX to PST converter worked great for me. I was able to convert my DBX files to PST format so that I can access my emails on my new Mac machine.